Congaree National Park Description. Situated along the meandering Congaree River in central South Carolina, Congaree National Park is home to champion trees, primeval forest landscapes, and diverse plant and animal life. This 22,200-acre park protects the largest contiguous tract of old-growth bottomland hardwood forest remaining in the United States. 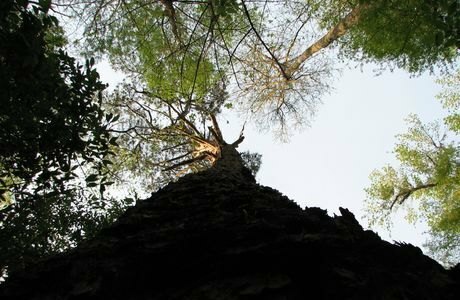 Known for its giant hardwoods and towering pines, the park�s floodplain forest includes one of the highest canopies in the world and some of the tallest trees in the eastern United States.